Bring out your Green Goddess glow with this skin-food scrub made of matcha (green tea), peppermint (from a small farm), greens, oats, and clay. Every ingredient in this powder scrub is an active constituent included to cleanse, nourish, and refresh your skin. 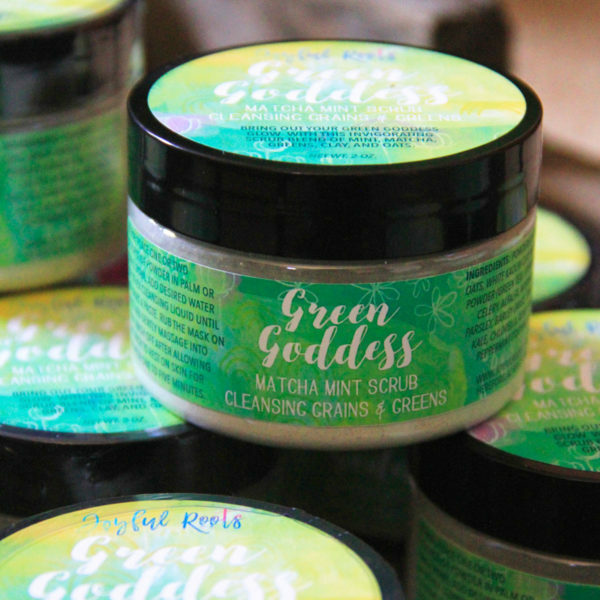 Matcha is high in antioxidants, kaolin clay absorbs oil and impurities, oats are a gentle yet effective exfoliant, peppermint leaves your skin feeling refreshed…and everything else acts as food for your face! This item is reduced for clearance because it is older stock. 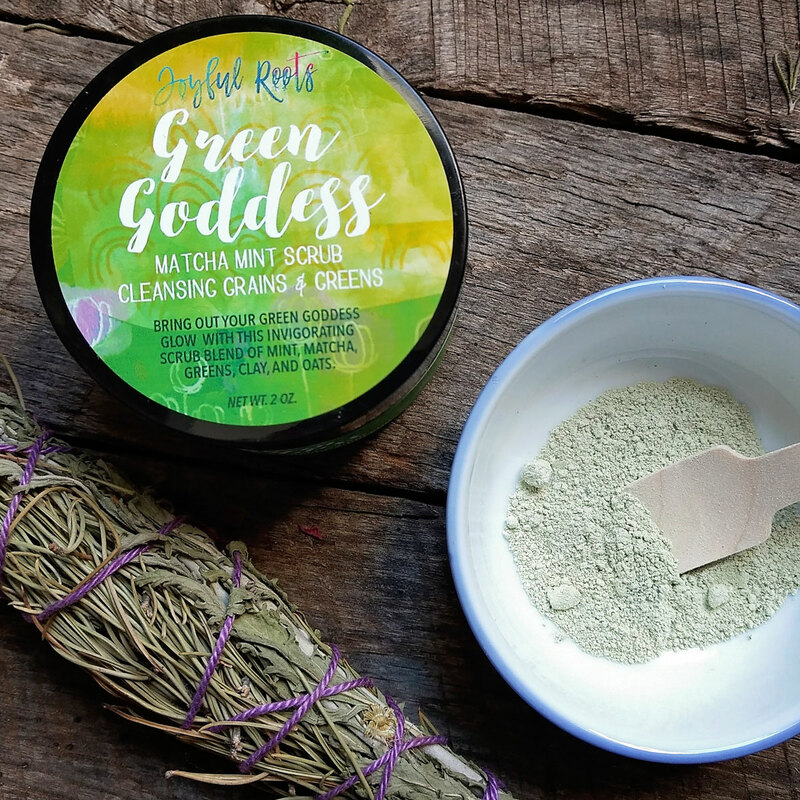 Matcha is high in antioxidants, kaolin clay absorbs oil and impurities, oats are a gentle yet effective exfoliant, peppermint leaves your skin feeling refreshed…and everything else acts as food for your face! This scrub is gentle enough for sensitive skin and strong enough for oily skin. The scrub is unique because it comes as a powder, allowing you to add your own liquid to form the gentle cleansing scrub. This does two things that are beneficial. First, the anhydrous (water-less) nature of the packaged ingredients means that NO preservatives are needed to be shelf stable. 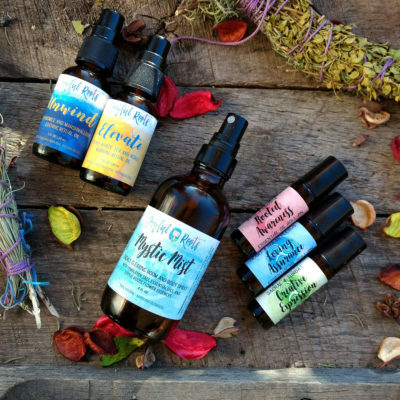 This allows for a truly pure, all natural, and nourishing experience for your face! Also, you add the liquid of your choice with each use. This is beneficial because different liquids can offer different functions. Use water for a gentle cleansing, liquid castile soap for more cleansing power, honey for extra moisture and healing, witch hazel for some astringency, etc. The different combinations are nearly endless. 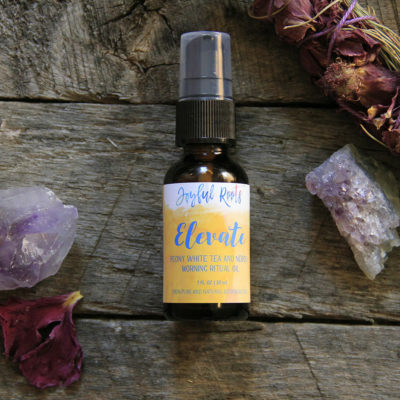 The scrub is a powerhouse for smooth and glowing skin, especially when paired with my Joyful Roots Ritual Face Oils. Place one or two scoop(s) of powder in palm or small bowl. Add desired amount of water or other cleansing liquid until it forms a paste. Rub the mask on face and gently massage into skin. Wash off immediately or allow to rest on face for up to five minutes. In addition to using water, you may choose to use honey, castile soap, facial cleanser, apple cider vinegar, witch hazel, or hydrosols to moisten your scrub.